[17th January 2008] The Indonesian province of North Sulawesi is a biodiversity hotspot and harbors some of the world's most spectacular nature areas. Northern Sulawesi is also home to a series of gold deposits, the largest of which is known by the name of Toka Tindung. Plans to establish gold mining operations here have met with widespread resistance both from local inhabitants and the Provincial government, who fear that the mines would disrupt the ecology and the economy of the region, which is based on fishing, agriculture and tourism. The British-based mining company Archipelago Resources, which is attempting to force the development of the Toka Tindung mine, recently received a serious blow, when the German bank WestLB did not renew its credit arrangements with the company. WestLB is one of four banks, which had originally agreed to provide project financing for Toka Tindung. The other banks involved are Australia's ANZ and Investec and the French bank Société Générale. NGOs are now calling upon these banks to follow suit and to pull out of the controversial project. "We are amazed that WestLB held on to this project as long as they did," says Heffa Schücking from the German NGO Urgewald. "Since 2005 the people of Northern Sulawesi Province have consistently demonstrated and spoken out against the project and both the provincial parliament and the Governor have given a clear "No" to Toka Tindung. This and the fact, that the company pushed forward construction without obtaining valid permits is a clear indication, that Archipelago Resources is not a company that banks should invest in," says Schücking. 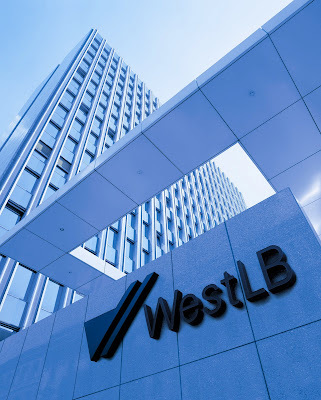 Activists believe that their threat to launch a public campaign against WestLB in Germany played a role in the bank's decision to finally withdraw from the project. "Supporting a project, which local people don't want and which will harm unique ecosystems, would have created a lot of damage to WestLB's reputation," says Marianne Klute from Watch Indonesia. From the start, the gold mining project has been contentious. In July 2006, the Indonesian Federal Environment Ministry forbid Archipelago Resources' plan to dump tailings from the mine in the ocean and the company thus put forward a plan to store tailings on land. However, this solution is far from safe as the area is prone to earthquakes and floods. The Governor of the Province, S.H. Sarundajang, thus refused to grant a permit for the mine, which is located near the Lembeh Strait, the Bunaken National Park and the the Tangkoko Conservation Area. At a press conference in February 2007, Sarundajung said that short-term extractive industries like gold mining don't fit into the long-term sustainable development plans of this province and stated, "I prefer to be a green governor rather than allowing the destruction of our environment." Archipelago Resources and its Indonesian subsidiary have nonetheless moved forward with construction, thereby enraging the local population and showing utter disregard for the law. The company's security forces have time and again attacked peaceful demonstrations by locals and there are many accusations of corruption and unlawful intimidation against the firm. Villagers claim that Archipelago Resources' illegal construction activities have already resulted in unprecedented damage to the environment. On March 11th 2007, 400 villagers of Rinondoran and vicinity had to flee as their houses were buried under a 1.5 Meter thick layer of mud. The avalanche turned the crystal clear water of Rinondoran Bay into a stinky mud pool with hundreds of dead fish. The villagers suspect that this was a man made environmental catastrophe, caused by the construction activities of Archipelago Resources in the hills above Rinondoran. The contract to construct the dumping ponds and dams for the mine was granted to Bakrie constructions, which belongs to the Indonesian minister Aburizal Bakrie. This is the same company that is responsible for the mud volcano that has been flooding the region Sidoarjo in East Java over the past months. Archipelago Resources, however, denies any responsibility and speaks of a natural catastrophe. "Archipelago Resources does not care about the law nor about the people in our region," says Revoldi Koleangan of AMMALTA, the local alliance of farming and fishing communities opposed to the project. "We are therefore glad to see that the company is losing support from its financial backers and hope that it will soon be forced to leave the province entirely," he adds.